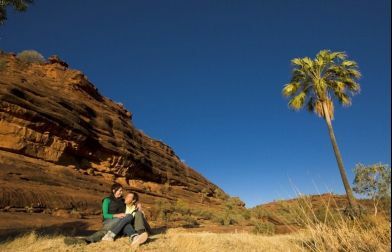 The East and West MacDonnell Ranges stretch out for hundreds of kilometres on both sides of Alice Springs. 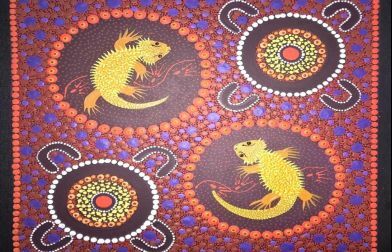 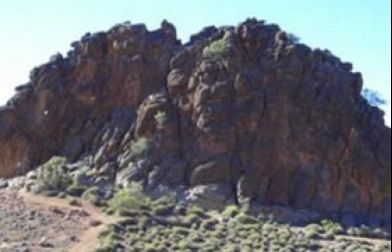 The Arrernte people, believe giant caterpillars called the Yeperenye became the ranges - they entered this world through one of the dramatic gaps in the escarpments. 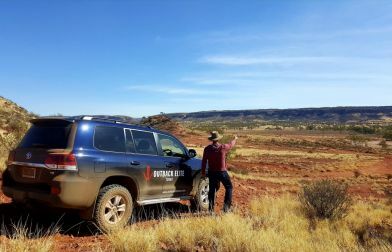 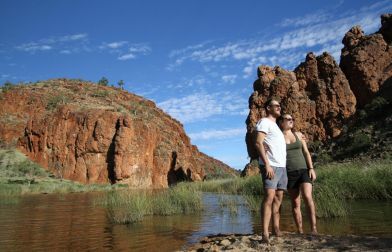 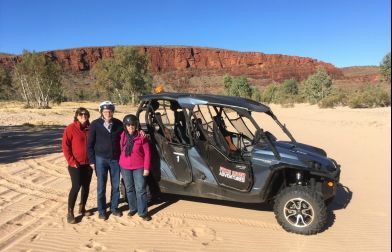 The MacDonnell Ranges are rich in cultural and an adventure playground with hiking trails, four-wheel drive tracks, swimming holes, and camping spots but they differ in subtle ways – the East MacDonnell’s have more rock art but less permanent water, more history but fewer people. 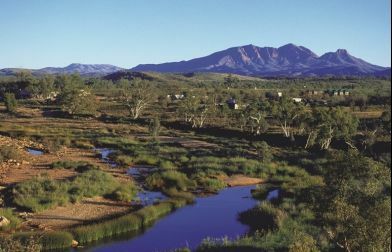 Much of the East MacDonnell Ranges depict the Eastern Arrernte Aboriginal Yeperenye Dreaming. 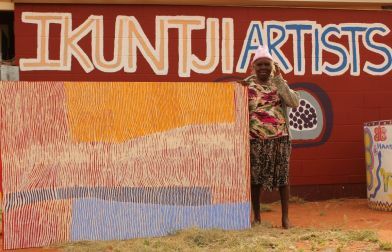 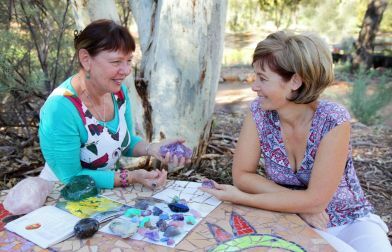 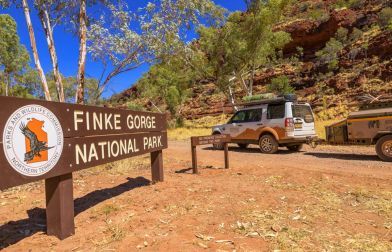 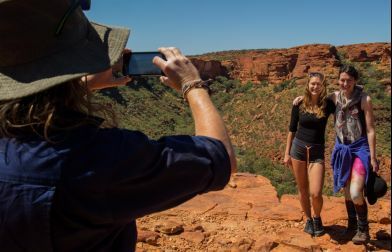 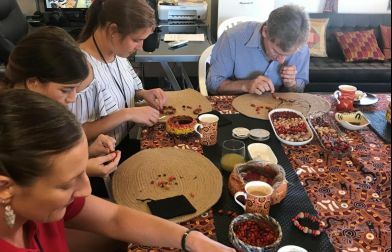 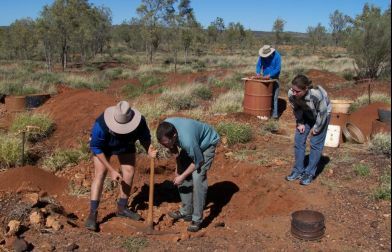 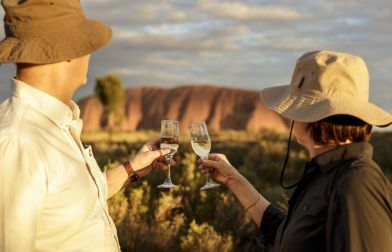 At Emily and Jessie Gaps you will see rock art, red ochre and white lime paintings, as well as flocks of native budgerigars drinking from waterholes. 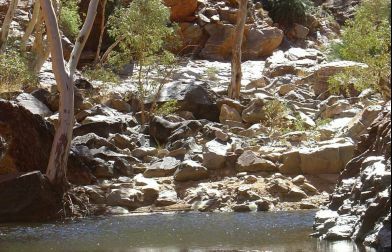 Figs hug gorge walls, bloodwoods hang with bush coconuts and bush passionfruit grow from the sand. 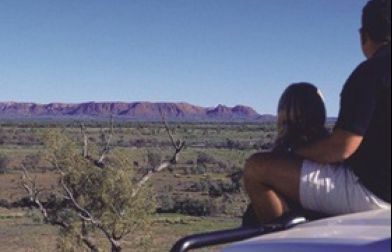 You will think this land is unyielding but you will be pleasantly surprised. 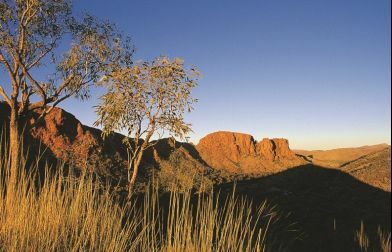 The 300-year old ghost gum at Trephina Gorge is one of the finest natural features in the region. 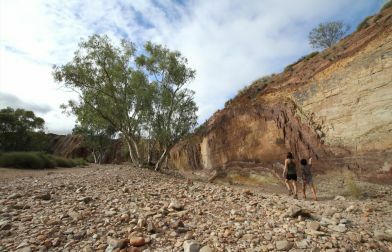 Trephina Gorge hosts five walking trails that showcase the sheer quartz cliffs, rivers and creeks. 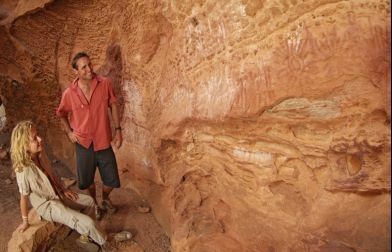 From the shades of N'Dhala Gorge over 6,000 prehistoric rock carvings, art and shelter sites, and rare plants will be revealed. 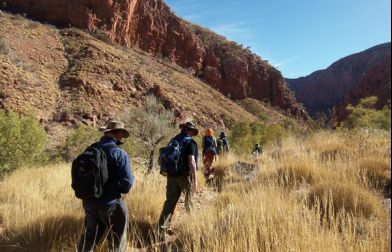 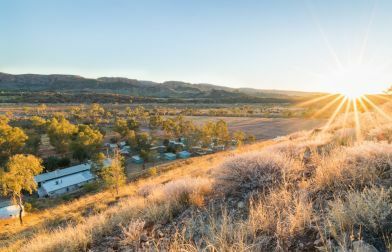 The East MacDonnell Ranges aren’t all about natural history, the Binns Track wriggles through the ranges to the ghost town of Arltunga, the site of a gold rush in the 1930’s. 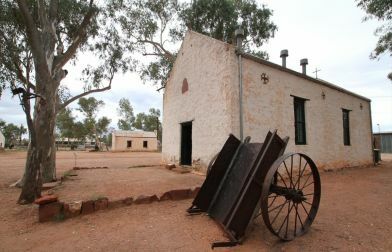 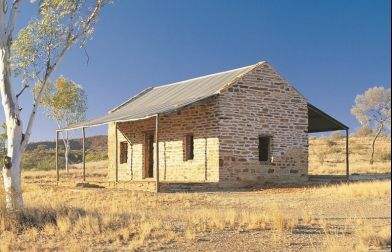 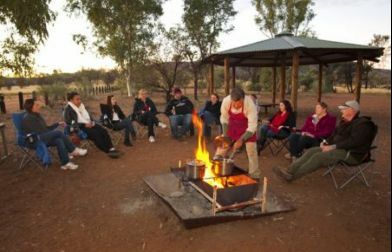 There are a few accommodation choices in the region, Ross River Resort built on the original site of Loves Creek Homestead, Old Ambalindum Homestead, a working cattle station that was settled in the 1900’s and Gemtree, a quiet bush caravan park. 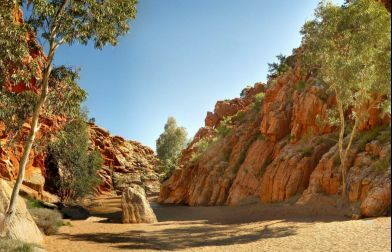 The ancient landscape, sculptured over time by climatic change and made famous by the art of Western Arrernte artist Albert Namatjira is on display in the West MacDonnell Ranges. 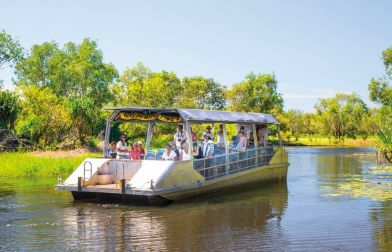 You can find relics of a bygone tropical forest at many of the cool scenic gorges that act as a refuge for an assortment of plants and animals. 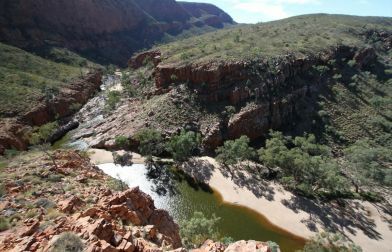 Easily accessed from Alice Springs, each of the West MacDonnell chasms and gorges has its own unique character and scenery. 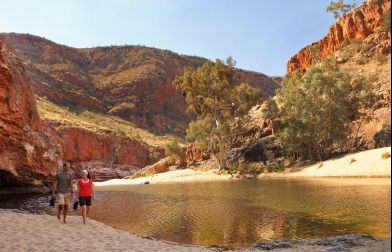 Drive or jump on a bike and ride along the 17 kilometre cycle path to Simpsons Gap, see the permanent waterhole and spot rock wallabies that live in the Gap's rocky ridges. 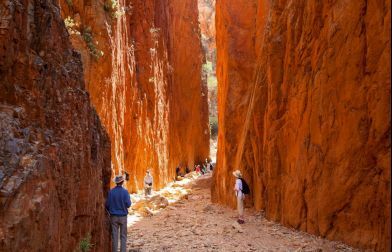 Photograph Standley Chasm at midday when it lights up in fiery colours. 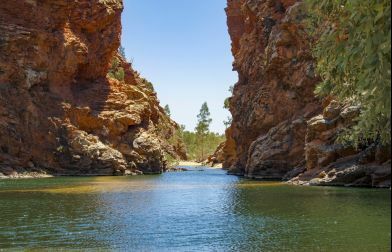 Find refreshing relief from the heat of the day at the picturesque swimming holes in Ellery Creek Big Hole, Ormiston Gorge, Glen Helen Gorge and Redbank Gorge. 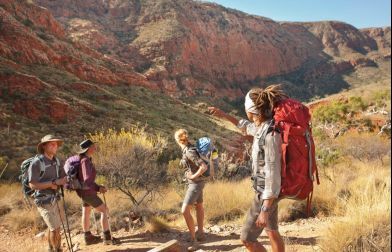 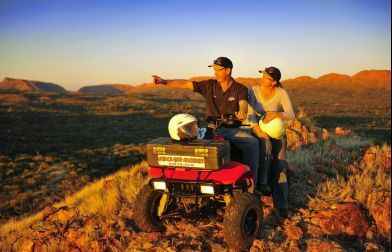 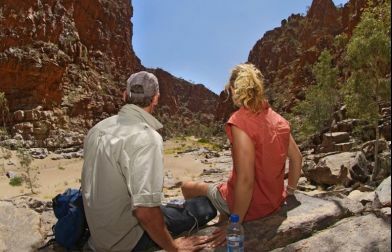 Trek the Larapinta Trail, which stretches more than 223 kilometres from the Alice Springs Telegraph Station to Mount Sonder. 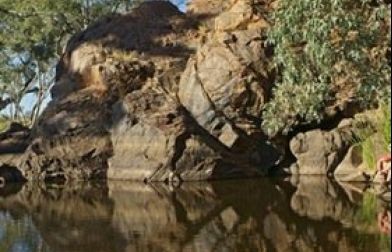 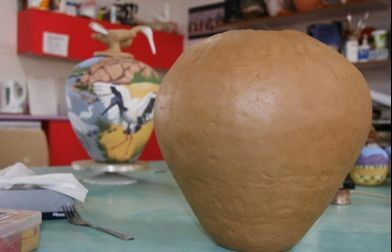 Discover the Ochre Pits that desert Aboriginal people once used as a quarry for art and ceremonial body decoration. 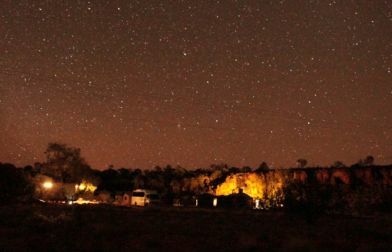 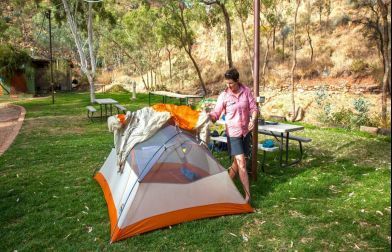 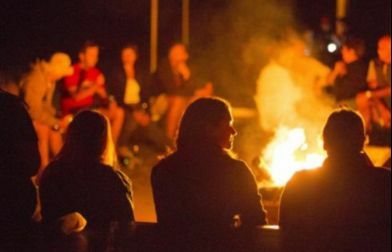 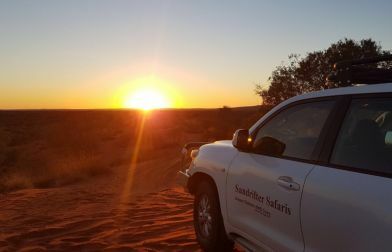 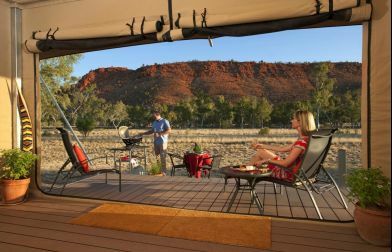 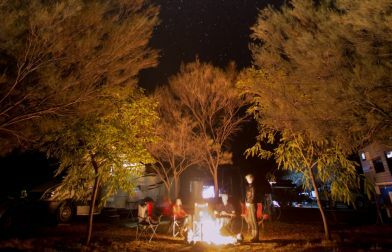 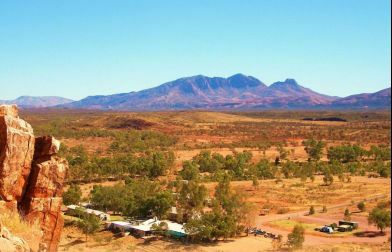 If you would like to spend a night in the West MacDonnell Ranges, then pitch a tent at one of the many camping sites dotted throughout the region or enjoy a cold drink and the comforts of Glen Helen Resort.